Many mainstream tech journalists and major tech blogs received T-Mobile G1 review phones last week. The phones came with the condition of a press embargo. No one was supposed to publish anything about the devices until today. The floodgates are now open and the web is awash with of G1 reviews. ZDNet’s Matthew Miller has probably the most comprehensive review with seven pages, five videos and 260 images including a shot of every single screen and dialog box on the phone! The deans of US tech journalism, the Wall Street Journal’s Walt Mosberg and the New York Time’s David Pouge offer well-balanced overviews of the G1’s strengths and weaknesses. Engadget, Gizmodo and jkOnTheRun each do their typical through job with lots of photos. Boy Genius Report has one of the more critical reviews. BGR in particular bemoaned the lack of consistency across apps. Christopher Price at Phonenews.com takes a concise look at the G1 with an emphasis on how it compares with Windows Mobile and the iPhone. Om Malik weighs in with a very independent “What I Love & Hate About T-Mobile G-1 “. In particular, Om disagrees with most of the other reviewers on the G1’s IM ap saying “This has to be the best Mobile IM client on the planet!” and on the phone’s dialer which he doesn’t care for. So what seems to be the consensus of these early reviews regarding the G1’s strengths and weaknesses? Pretty much as I predicted before the G1 was launched, there is a fair amount of negativity in these reviews. The G1 is a very 1.0 device. Google likes to get code out in the wild at a fairly early stage in the development process and then continually improve it over a long Beta. Android is no different. 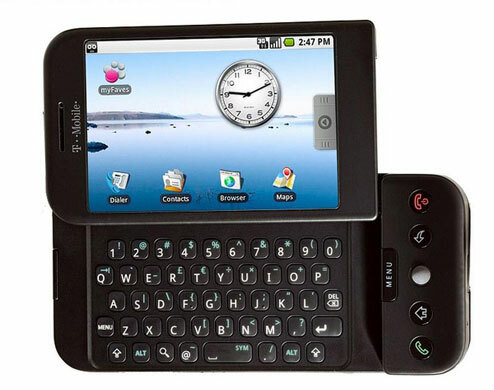 The big G made a commitment to release the first Android handset in Q4, 2008 and the G1 is what’s ready now. The phone’s “cons” are a reflection of Google’s continuous Beta philosophy and will likely morph into “pros” in due time. Remember that the Android OS can update itself and it’s applications OTA, so the G1’s software will improve which age. User interface inconsistencies, especially compared with Blackberry and the iPhone. Even among the built in Google apps, there are different paradigms for common functions like zooming the display or deleting an item from a list. Missing features like the lack of video recording, no standard headphone jack, very limited Bluetooth support (you can’t use stereo Bluetooth headsets or use Bluetooth for transferring files, using the phone as a modem or even to do voice dialing). Other prominent omissions are the lack of desktop syncing, no turn by turn directions in Maps, and the fact that there is no on screen keyboard except for the phone dialer. Software and hardware limitations: Applications can’t be stored on the memory card, they all have to fit in 128MB of internal flash memory. The phone’s 3G radio only works on T-Mobile’s oddball 2100/1700 frequencies, so if you take your G1 abroad you will be stuck with slow GPRS/Edge data. The G1’s camera and ability to get a GPS fix were generally described as mediocre. On the other hand there were a number of raves about some aspects of the device. Fast robust multi-tasking with instant switching between running apps. The scrolling Home Screen with pull down notification “curtain” that reminded (in a good way) several reviewers of the Microsoft XP desktop. The G1 got high marks as a telephone, particularly in the areas of call quality, the dialer and speaker independent voice dialing. Integration with Google services; including single sign on, push gMail and seamless syncing of contacts and calendar to the “cloud” . The Android Market was found to be responsive and easy to navigate. Granted it has less than 50 apps and games in it at this point but there are several useful apps available already including an excellent video player, a weather app and a bar code reader that’s not limited to 2D codes but can decode 1D UPC “zebra”s letting you scan a product’s label while shopping and having the app do an online search for best prices. All the things the G1 has that the iPhone doesn’t: MMS, copy and paste, a hardware keyboard, voice recorder and the ability to use any MP3 file as a ring tone. The Threaded messaging app got some notice. It integrates SMS and MMS and lets you respond to messages by snapping a picture or recording an audio clip without leaving the application. The large, bright display and responsive touchscreen. “Almost as good as the iPhone’s”, seemed to be the consensus. The web browser got pretty high marks too, although most reviewers also rated it not quite as good as the iPhone’s Safari. One thing I noticed in the videos was that, although it doesn’t seem to have my preferred “fit to width” mode where the page is re-flowed into a single column, it appears to require much less side-scrolling than other “keyhole” browsers. With S60WebKit and the iPhone, if you zoom in to the point that a single column of text just fits the screen, images floated in that column push text off the screen and require side scrolling. Android re-sizes the images and re-flows the column alongside the image so that the text still fits the reduced width eliminating side scrolling. Well done Google! This entry was posted in Android and tagged first reviews., G1, T-Mobile by Dennis Bournique. Bookmark the permalink. I prefer the G1 regardless of its thickness. I think it’s a better choice. Just read the reviews.